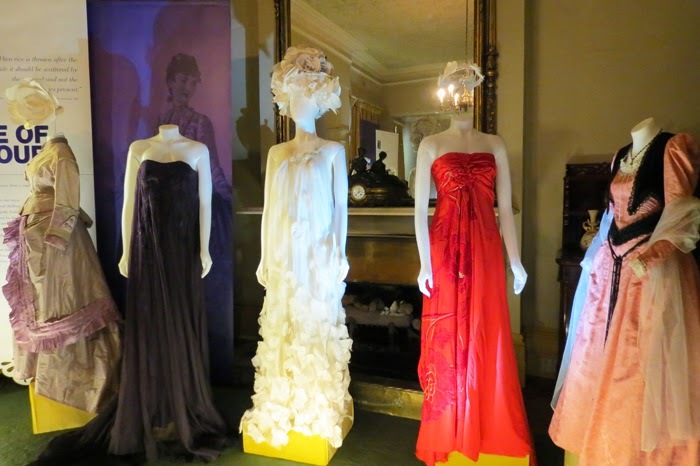 I had the great pleasure recently visiting The Fashion of Weddings Exhibition at Rippon Lea House & Gardens in Melbourne. 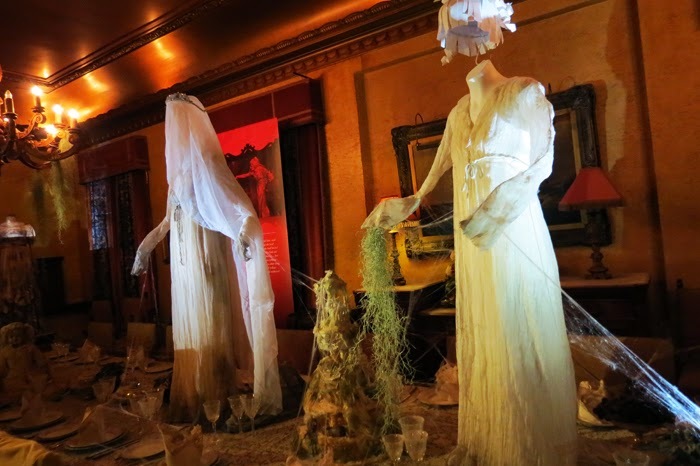 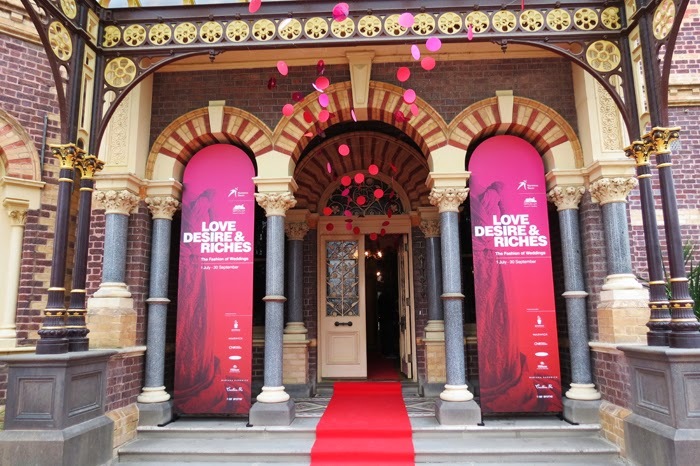 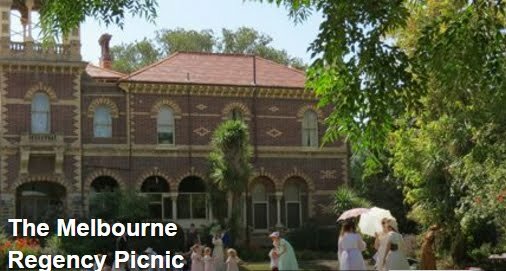 Rippon Lea built back in the 1800's is currently showing a fashion exhibition of wedding dresses. 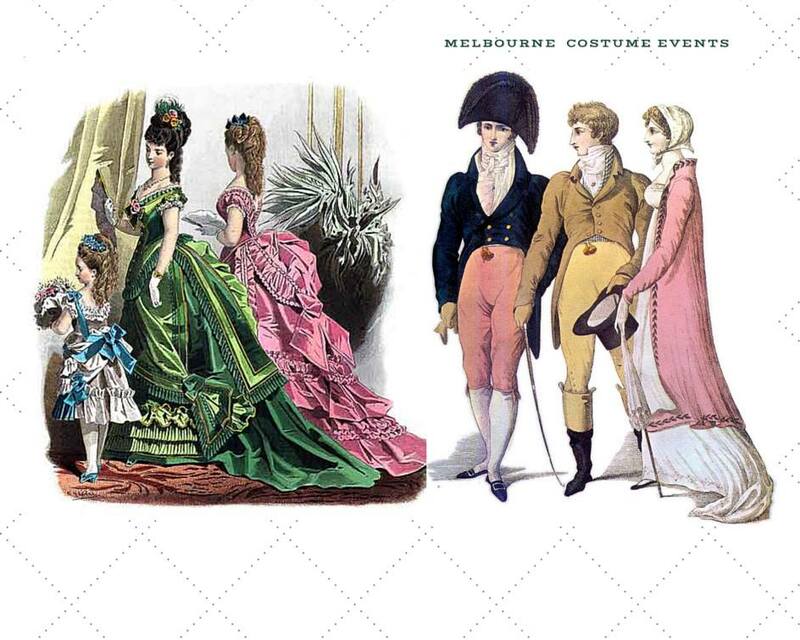 Some of the selection of dresses are from celebrities, fashion houses such as Valentino, Maticevski and Akira. 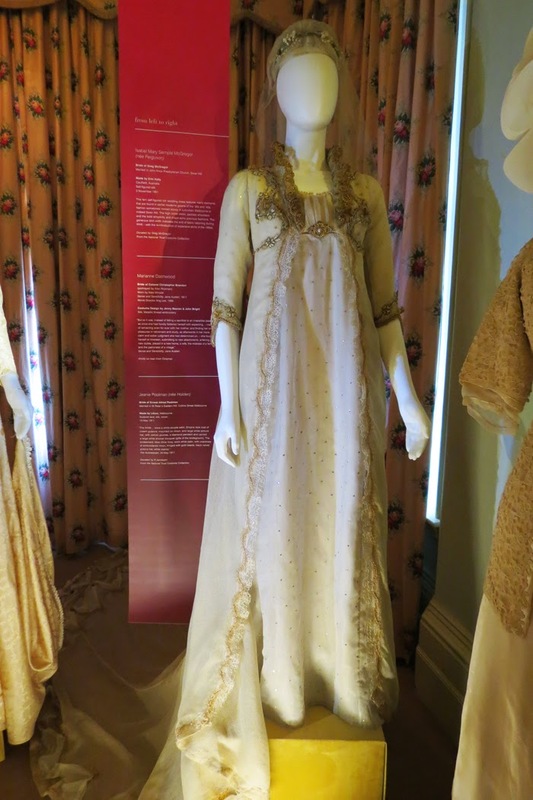 Also a lovely selection of wedding dresses from BBC dramas and local Australian TV shows, Greek royality and from the National Trust of Australia costume collection. 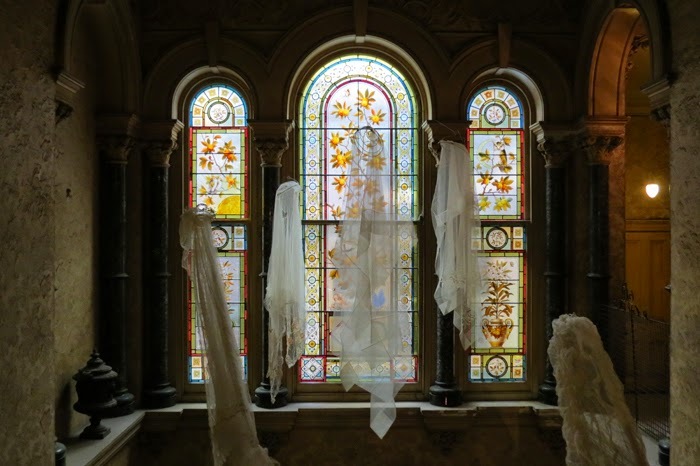 Also in the gardens of Rippon Lea one can see the Mr. Darcy sculpture that has come all the way from the UK. 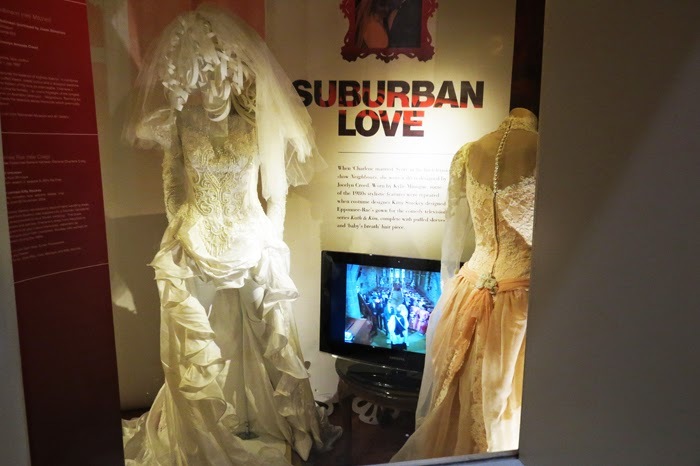 This exhibition finishes on 2nd of November, it really is a must to see.